Years ago I enjoyed a bite to eat with Dharmesh Shah and my brother Andy and we talked about startup names. We’d just raised a small angel round with Dharmesh as the first investor in. Our idea was to create eBay for renting physical products (mostly bouncy castles), and we’d dubbed it Rentabilities. While Dharmesh was incredibly supportive, he urged us to think about changing our name. 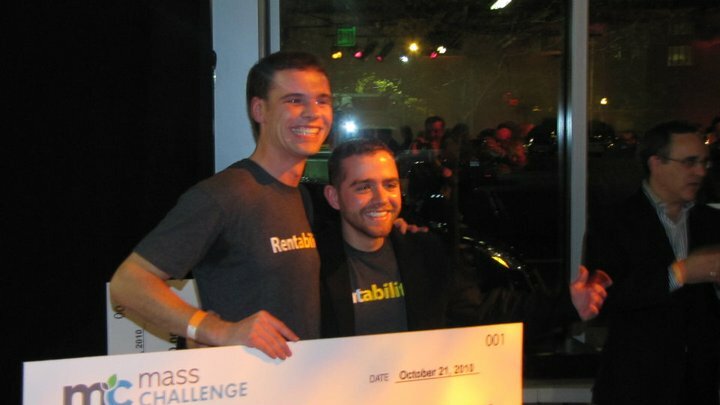 We went through MassChallenge’s first batch and won $50k just before Dharmesh invested. The Grandma Test was a thing we coined at this dinner. At the time, our grandmother was in her late 80s. She and my late grandfather were always curious about what Andy and I were up to. We told them about how we’re going to help thousands of people rent bouncy castles and call it Rentabilities. My grandmother’s brain is packed full of information and wisdom from over the years. Which means, even by her own admission, she sometimes forgets stuff. A week later Grandma Cook remembered the name of our enterprise and what it did. We passed the Grandma Test. Years later we shut down Rentabilities joined HubSpot. As life powers on, I keep taking the Grandma Test. 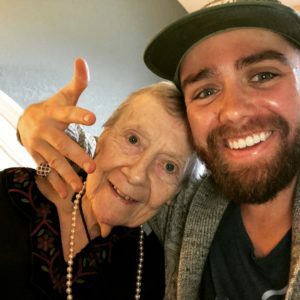 Last winter, Andy and I launched a side project called NanaGram, a gift we gave to our late grandfather on his 94th birthday. We wanted to make our grandparents feel more connected. We gave our family a unique phone number, asked them to text message their photos to it, and every month we’d print and ship 4×6 photos to our grandparents. When I dropped off the first set of photos to my 94-year-old grandparents I left some business cards and magnetic fridge pins. I came back a week later to find the fridge totally covered in photos. The walls were covered in scotch-taped photos too. NanaGram passed the Grandma Test. I came back a month later and something unexpected happened. Me on a delightful visit with Grandma recently.